Canada is the second-largest country on Earth, and its incredible natural geography is its most popular tourism attraction. Most visitors to the country are focused among the four largest cities: Toronto, Vancouver, Ottawa, and Montreal, which are all equally popular for their diverse cultures, historic sites, and nearby national parks. The Canadian currency is the Canadian Dollar (CAD), the seventh most-traded currency globally. It is denoted by the $ sign, or sometimes by C$. English is the official language of most of Canada, while the majority of Quebec residents speak French. Canada is made up of eleven different geographical territories, each one retaining its own unique personality. The Canadian territories include Alberta, British Columbia, Manitoba, New Brunswick, Newfoundland, Northwest Territory, Nova Scotia, Ontario, Prince Edward Island, Quebec, Saskatchewan, and Yukon. These territories are made up of a vast variety of attractions and entertainments to suit any type of traveller. Some of the most popular Canada attractions include the Banff and Jasper National Parks, seasonal whale-watching cruises off either coast, the Whistler-Blackcomb ski resort, the intriguing Bay of Fundy and tidal bore, exploring the unforgettable Icefields Parkway, river canoeing and kayaking through the Nahanni National Park Reserve, visiting the polar bear migration routes, swimming with Beluga whales, and spending a night at Quebec’s famous Ice Hotel. Canada spans such a large area that the climate varies widely, and also changes dramatically with the seasons. The Maritime region, Ontario, and Quebec are usually humid and cool even in summer. Rain is always a factor. Halifax temperatures remain moderate throughout the year, while Ontario and Quebec get colder during the winter. Temperatures in the mountains vary from -16 degrees C in winter to a mild 24 degrees C in summer. Evening temperatures in mountain areas are always cool. Vancouver maintains a temperate climate and rarely freezes. Rain is a probability year-round in Vancouver. The best travel tips for Canada involve bringing clothing suitable for layering. If you plan to arrive in winter, it is a must that your clothing be warm and water resistant. Canadian summers mean bright, sunny weather, and an incredible amount of visitors. The best time to visit Canada is during autumn, especially during September and October. The weather is still very nice, while airlines, hotels and attractions are much less crowded. The fall season also brings incredible photographic opportunities and a variety of outdoor adventures. Canada’s major cities include Ottawa, Toronto, Vancouver, Montreal, Quebec City, and Halifax. Each of these cities provides an array of attractions and amenities all its own. Ottawa is the lovely capital city of Canada. The city’s gothic government buildings are set atop Parliament Hill, against the perfect backdrop of the lazy Ottawa River. Neighborhoods are full of Victorian homes, and museums and galleries display a variety of Canadian art and history. One of the most intriguing Ottawa museums is the Canadian Museum of Civilization. Visitors to the museum are greeted by colorful First Nations totem poles carved with ravens and ferocious bears. The National Arts Centre hosts both Canadian and international fine arts performances. Notre Dame Basilica is an Ottawa icon and a popular attraction for visitors; travel tour guides offer free tours of the cathedral daily. Toronto is situated along the shores of Lake Ontario, and is widely recognized as the largest and most diverse city in Canada. Home to the enormous CN Tower, the downtown business district blends seamlessly with the artsy theater and museum districts nearby. Aside from the arts, Toronto’s first love is the sport of hockey. Don’t miss the Royal Ontario Museum, the best place in Canada to explore Canadian natural history and culture. The collection here includes an incredible variety of First Nations beadwork items, several exquisite Roman sculptures, and a barosaurus skeleton over 89 feet tall. Art lovers will want to spend an afternoon exploring the Art Gallery of Toronto, whose collection encompasses nearly 80,000 masterpieces from Old World to Inuit creations. Vancouver is nestled among snowy peaks and lush forests, and includes several miles of rugged sandy beaches. This city maintains a sophisticated, intellectual atmosphere and an easygoing style. Stroll along the popular seawall area or take a relaxing hike among Stanley Park’s forested trails, one of the locals’ favorite places to visit. Dr. Sun Yat-Sen Classical Chinese Garden is a photogenic stop full of exotic flowers just east of downtown. The world-famous Museum of Anthropology here is home to a number of giant, original totem poles, First Nations sculptures and masks. Vancouver is one of Canada’s top shopping destinations; find upscale designer boutiques along Robson Street, or head to West 4th Avenue for a funkier selection. The Granville Island Public Market is a must-see for Vancouver visitors and a local tradition. Skiing is a very popular activity in Canada, and one of the top resorts is Whistler/Blackcomb about two hours’ drive from Vancouver along spectacular scenery. The attractions of this region include 8,000 acres of terrain, 37 lifts, three glaciers, and an enchanting base village, a pedestrian-only town offering shopping, nightlife, or an unforgettable spa experience. This is a family-friendly entertainment complex offering childcare and ski safety and education programs. When considering where to stay in Whistler, keep in mind that accommodations range from moderate to very expensive. Budget lodging is not really an option here. It can often be more economical to arrange a stay at one of the many privately owned vacation homes or chalets located all over the area. The city of Montreal is over 400 years old, and the sense of history is tangible as one strolls among the imposing architecture of Old Montreal, but the city embraces modernity. Artful buildings keep the skyline interesting. The well-preserved historic district retains an authentic European flair. The food and dining scene, including a number of unique microbreweries, is among the best in the world. Montreal also hosts some of the world’s most popular events and festivals for art, music, comedy, and theater. Any visit to Montreal should begin in Vieux-Montreal, Old Town, where the 18th century architecture has been lovingly restored and is used for galleries, boutiques, and cafes. The Underground City is a unique shopping and entertainment complex below the city’s surface, and it connects 19 above-ground malls and shopping centers. More shopping experiences can be found on Du Mont-Royal Avenue and Saint-Denis Street. Explore any of the city’s charming open-air markets for local produce, artisan cheeses, wine, chocolate, fascinating local art, and one-of-a-kind souvenirs. The best are the Jean-Talon Market and the Atwater Market. Montreal nightlife is focused on Crescent Street, but Saint-Paul Street and the entire Vieux-Montreal district is emerging as a live music hotspot. Quebec City sits along the St. Lawrence River. The Old City is still enclosed by fortress walls, and the skyline is dominated by the soaring turrets of the castle-like Chateau Frontenac hotel. The romantic atmosphere here is that of a French coastal village. The ruins of the city’s fortifications, including the Citadelle, guard the Vieux-Quebec district. The Musee de la Civilisation provides interesting history about eleven native nations including the French settlers. Battlefield Park is the perfect place for recreation or a relaxing picnic on the banks of the St. Lawrence. The Petit Champlain is the oldest shopping district in North America. It is currently filled with art galleries and Quebec fashion. Enchanting street art installations can be found along the gallery on Rue du Tresor, and visit the Cap-Rouge for more local arts and crafts. The city is fond of its café culture. Bring a book and watch the show at Quartier du Petit-Champlain and along Grande-Allee. Perhaps Quebec’s most famous attraction, Hotel de Glace, is North America’s only ice hotel. Visit the Absolut Bar and have a vodka in an ice glass. Halifax, capital of Nova Scotia, beckons visitors with a pleasant seaside atmosphere. The city is home to several universities, and retains a youthful, cutting-edge personality. Bicycles and skateboards seem to be the most popular modes of transportation here. The Halifax Citadel is a popular attraction, a fortress built in the shape of a star. The Citadel provides breathtaking views of the harbor and city. The Maritime Museum of the Atlantic showcases a fine collection of shipwreck artifacts, and the Maritimes’ immigrant heritage is on display at national historic site Pier 21. The sophisticated city center offers several attractions within walking distance of one another, making it the perfect place for leisurely walking tours. 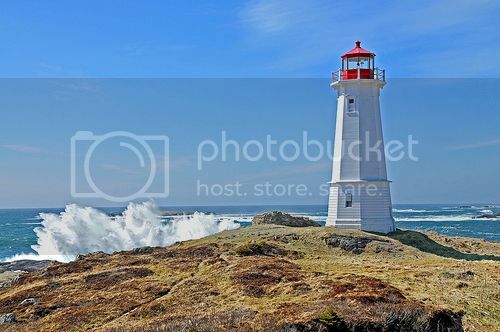 The world’s most photographed lighthouse is located at Peggy’s Cove, a short drive from the city. Canada boasts several of the world’s most unique and beautiful beaches, from Vancouver Island’s Long Beach to the “singing sands” beach of Prince Edward Island. The bounty of beaches here will suit any taste, whether one is interested in sunbathing, surfing, swimming, beachcombing, hiking, fishing, or any number of beach- and water-based sports. Sauble Beach is located near Owen Sound on Lake Huron, about two hours’ drive from Toronto. This is the world’s second-largest freshwater beach and faces west for spectacular sunsets. The warm waters here are perfect for swimming and water sports. Amusement parks, restaurants and bars, go-karts, and playgrounds are also provided to round out the entertainment. This beach is also perfect for fishermen in the spring and summer. During the winter weather, 3,000 km of snowmobile trails transform the beach into a tranquil winter escape. Long Beach is situated between Tofino and Ucluelet, on Vancouver Island’s west coast. The beach is surrounded by rainforest and retains a mild climate year-round. Long Beach is known for its surfing waves and windswept, untouched landscape. Singing Sands Beach is nestled at the northeast end of Prince Edward Island. Otherwise known as Basin Head Beach, the singing sands are east of Souris. The beach is home to a diverse ecosystem and makes a perfect destination for long walks, beachcombing, or sunset picnics. When walking on the sand here, one will notice a distinct noise, which is due to the quartz sand. Sight seen in Canada, Rent a bike next time you visit Canada.